On the evening of August 25th, Hurricane Harvey made impact on the coast of Texas. The Category 4 storm remained active until August 29th, and is still causing devastation to this day. “This is a landmark event for Texas. Texas has never seen an event like this,” announced FEMA administrator Brock Long. 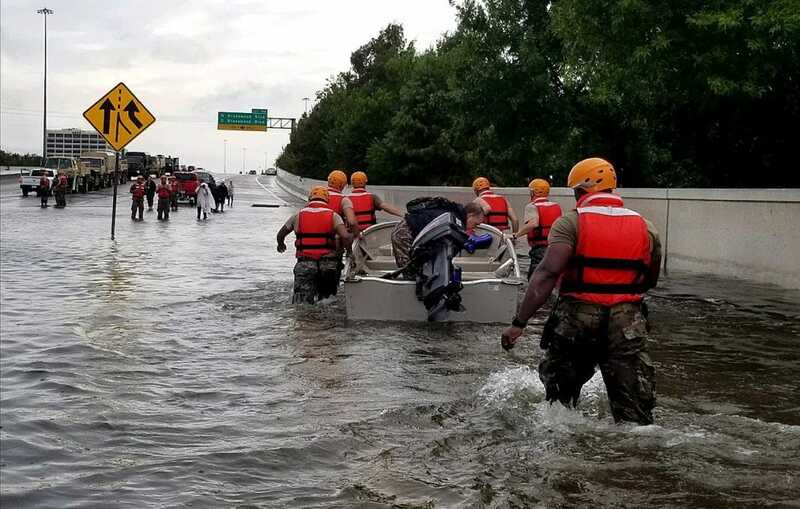 The Federal Emergency Management Agency reported estimations of over 30,000 people requiring temporary shelter, and insurers have warned that the damage costs could amount to $100 billion. This hardly comes as a surprise considering that Hurricane Harvey dumped 50 inches of rain in less than a week, thereby surpassing the national record for rainfall during a single tropical storm. The US National Weather Service even had to introduce a new color on its graphs in order to accurately portray the volume of precipitation produced by the storm. Harvey’s profound impact immediately brings into question the role of climate change in the tragedy, and just how much it may have impacted the destructive nature of the hurricane. World Meteorological Organization spokeswoman Clare Nullis explained, “Climate change means that when we do have an event like Harvey, the rainfall amounts are likely to be higher than they would have been otherwise.” Many researchers are in agreement with Nullis, arguing that although climate change may not have caused the hurricane, it was a significant factor in its heightened impact. The process described by Trenberth is supported by the Clausius-Clapeyron equation, which was a factor in Texas’s disaster. The Clausius-Clapeyron equation proves that for every half a degree Celsius in warming, there is about a 3% increase in atmospheric moisture content. In the Gulf of Mexico, surface temperatures are more than half a degree higher than last summer’s average, and a startling 4 degrees Celsius warmer than the 1961-1990 baseline. With this knowledge, Kevin Trenberth estimates as much as 30% of Harvey’s rainfall could be attributed to global warming. Global warming has also impacted sea levels, with human-related global warming accounting for an overall 20cm rise in oceans. This primed the Atlantic in Texas for even larger storm surges than usual. Texas Senators Ted Cruz and John Cornyn, as well as Governors Greg Abott and Dan Patrick refused to comment on any relation between Hurricane Harvey and climate change. Hurricane Harvey has made a deep impact on the citizens of Texas and on United States as a whole. This natural disaster will take a long time to heal from, as it goes far beyond reconstructing what was lost. There is now increasing worry around the country about what is to come in the future, with researchers only predicting worsening conditions post-Harvey. Going forward, the United States and the world must take initiative in employing environmentally restorative practices and initiating the establishment of infrastructure that can withstand the worsening conditions of hurricanes in order to prevent another devastating tragedy such as this. Previous articleThe Science of Studying: Does Practice Actually Make Perfect?